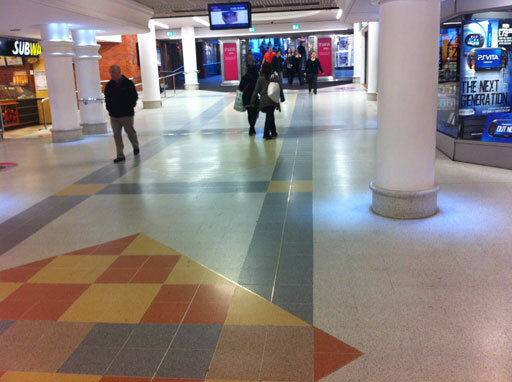 This sloping Terrazzo entrance way to a large shopping centre in the East of the UK had become quite slippery when wet due to years of heavy foot traffic. 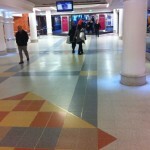 The degree of slope was also creating additional risk in terms of slip accidents. 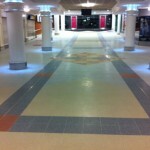 The client required an anti-slip terrazzo treatment. 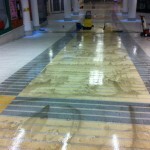 The surface was first thoroughly deep cleaned with a concentrated cleaner degreasing product applied by rotary scrubbing machine. 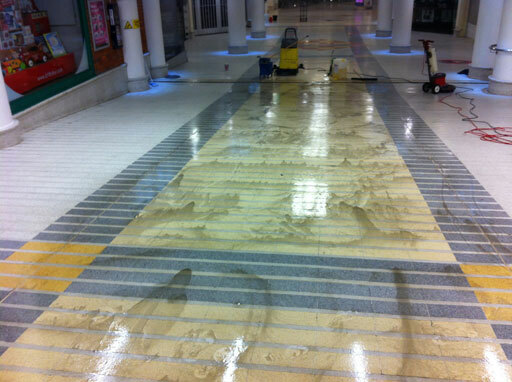 Once all deeply engrained dirt had been removed the surface was swilled with water and wet vacuumed dry. 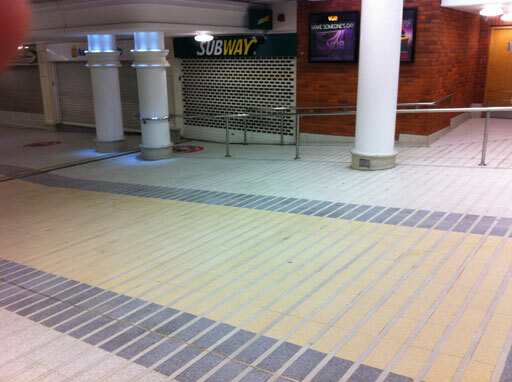 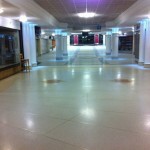 A clear moisture reactive non slip floor treatment was then applied directly on to the Terrazzo surface. 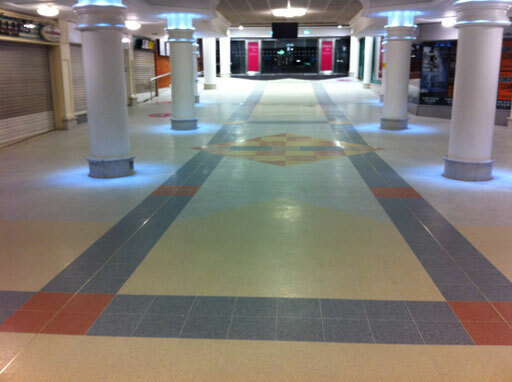 The visual appearance of the surface was dramatically improved and the wet slip resistance of the Terrazzo substantially increased. 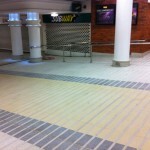 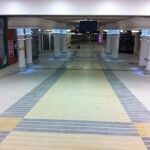 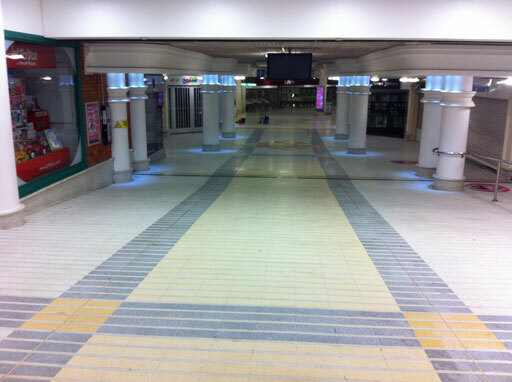 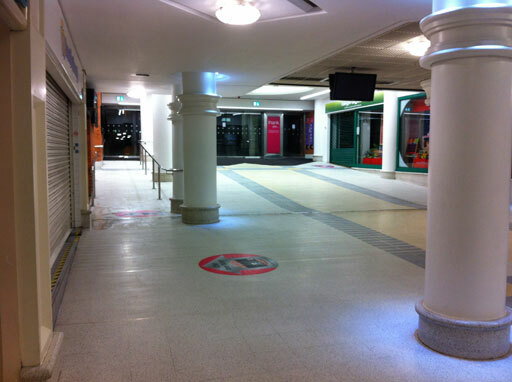 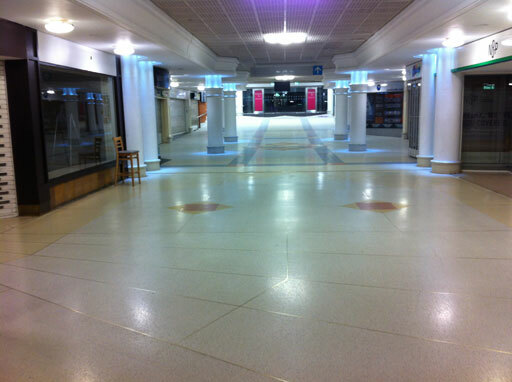 All work was completed out of hours by Surefoot operatives whilst the shopping centre was closed. 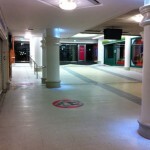 The entrance way was ready for pedestrian’s traffic upon completion of the treatment early the following morning.